We learn through stories. 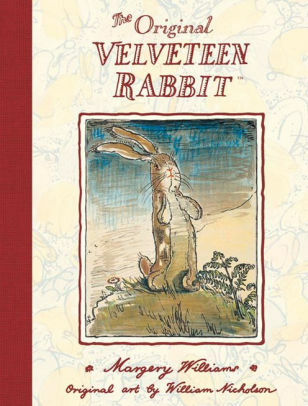 I have been delighting in our Lenten series this year, “Becoming Real,” where we’ve been seeing our own stories through the story of the Velveteen Rabbit and the parables of Jesus. I admit it seemed like an odd choice at first—why are we bringing in a children’s book to read alongside the gospel? But as we have read through this time-worn story, and as we have read through the time-worn stories of the parables, I’ve been surprised at how much truth there is still to find in these texts. Stories are how children learn. We read stories to children, and tell them over and over again, because stories are how we learn values, and cultural norms. Stories are how we learn how to navigate sticky situations, and how we build empathy for others. Stories help us see the consequences of actions (think about Aesop’s fables here). They’re a far better way of teaching than simply setting out rules and consequences. Adults, too, learn through stories (if you’ve ever read Shel Silverstein’s “The Giving Tree” to a kid, you know that this book has quite a bit to say to parents). The Bible is, more than anything else, the story of God’s people. It’s made up of lots of little stories (well-known ones like Adam and Eve in the garden, Moses parting the Red Sea, Mary giving birth in an inn, and lesser-known ones like Nehemiah building the wall and the daughters of Zelophehad arguing for their rights as women). These little stories make up the larger narrative of the Bible: God created us, we chose to stray from God’s path, God continued to save us and to lead us into the ways that lead to life. As we read this story, over and over, we learn about what it looks like to follow God (and what it looks like to mess up). In the stories of Jesus, we see him transgressing many of the restrictive and oppressive social and religious norms of his time, and we learn that we’re called to do that, too, in our times. We learn about ourselves, too: that if God can use Moses (a murderer with a speech impediment) to demand freedom from Pharaoh and to lead God’s people out of slavery, well, God might be able to us use too. We, too, are in a process of becoming. We’re loving other people and being loved. We’re recognizing our own vulnerabilities and fears. We’re seeing that none of that makes us ugly, except to people who don’t understand. I pray that as we move towards Holy Week, where once again we’ll live through the story of Jesus’ death and resurrection, that we recognize the power of the Christian story to form us and transform us. I hope that you’ll carve out space in your busy lives to walk through this story in the worship services at our church—the Palm Sunday pomp and circumstance, the Maundy Thursday meal and betrayal, the mournful silence of Good Friday, and the unbridled celebration of Easter’s resurrection morning. Live in these stories, and let them change you. Jesus calls us outside of our comfort zones—especially those of us who are used to being comfortable. 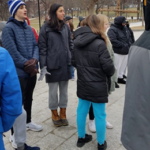 Earlier this month, our youth group did exactly that, when we joined Common Cathedral for worship on Boston Common. 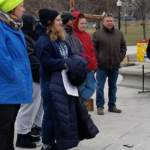 We went there because there is a congregation of people—most of them people experiencing homelessness—who worship outside because that is where they live, and that is where they find God. It was uncomfortable for us—it was seriously cold outside, and we were guests and visitors among so many people we didn’t know. It was uncomfortable, and it was also beautiful. We gathered in a circle with a few dozen folks, some of us who live in houses, and some of us who don’t, and we knew that we were all God’s children. We sang and we heard scripture read by members of the congregation, just like in our church; but there were tourists and travelers and downtown shoppers walking past our worship, which doesn’t happen at Allin. It was beautiful because as we worshiped and prayed and sang, we remembered that we all belong to each other—that God’s body is vast and that there are believers who are very different from us. 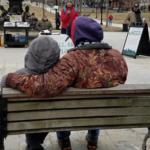 We remembered that God’s love reaches out into the streets and the city parks, and that God’s image is embodied in our homeless siblings just as it is in us. Although we brought sandwiches and snacks to share at their coffee hour, we remembered that these men and women experiencing homelessness had gifts to offer us too: they offered us hospitality, and hope, and spirited worship. My prayer for our church, Allin Church, is that we continue to get out of our comfort zones to meet our neighbors. I believe that this will transform our faith. I believe this will transform our church. I believe we have gifts to offer our neighbors, and I believe our neighbors have gifts to offer us. Church, what can you do, this month, to meet more of your neighbors? What can you do to get out of your comfort zone? What gifts will God have for you as you do that? It is a gift that we have this church to come to: a place to pray and to sing, a place to study and to serve, a place to drink pretty good coffee and a place to encounter the Living God. But usually we only spend an hour or two at the physical church—that’s an hour or two out of the 168 hours we have every week. Our hearts long to connect with God throughout our days, in all the places we find ourselves. Throughout the month, usually on Wednesdays, our church Facebook page will share a post asking for prayer requests, and we’ll light candles for each person who asks—it’s a sweet way for us to minister to our whole community, especially those who don’t come through our church doors. This idea came from a book called “Faithful Families” by Traci Smith, a book with dozens of ways for families to practice faith in their homes. Pick a time when you want to have a “gratitude café” with your household (whether that’s a bunch of folks or just you)—Saturday mornings or Sunday evenings are nice, but different times work for different people. Make a special beverage (coffee, hot cocoa, tea, or something else!) for each person, and spend about 15 minutes silently writing down things you’re grateful for. When the time is up, share with each other what you’re grateful for. Close with a brief prayer, something like: God, we are thankful for all of these blessings. Amen. Practicing gratitude helps us see all that we have and reminds us that all our blessings come from God. It’s also been shown, time and time again, that regularly practicing gratitude makes us happier and even healthier. Each day in Advent, Cheryl or I will prepare a brief reflection to guide us all in our praying. During Advent, we sing some beautiful songs full of rich poetry and deep meaning. Each day, we’ll focus on just one verse from a hymn—some well-known, and some that are less familiar. We’ll pair it with a scripture passage, and provide some questions to reflect on throughout the day. Our hope is that this will allow us all to put aside a few minutes each day to be quiet, to dwell with God, to reflect on the beautiful poetry we sing each week, and to consider questions about how we are seeking God and preparing for the birth of Jesus. We’ll email the devotionals out each morning and post them on Facebook (email allinchurch@gmail.com if you want the daily emails)! If you can’t access the internet, we’re happy to print out the week’s reflections for you—just call the office and ask, or talk to Lindsay or Cheryl after worship. Allin Church cares about growing faithful Christians who know that God loves them and who know that they have a purpose in this world. This year, our Sunday school programming for kids will continue to be designed with kids of all ages in mind. Every Sunday, our kids will have opportunities for play, art, hearing sacred stories from the Bible, music (sometimes singing, sometimes playing handbells), and prayer. Doing Sunday School like this is proven to deepen kids’ engagement with church, encourage them to see themselves as wise and beloved, and to help them develop a faith that will stick with them for their whole lives. We’ll continue to have a nursery for our youngest ones, youth group for our middle and high schoolers, and opportunities for adults to grow in their faith. Is there something this church could be doing that we aren’t yet? Would it help your family if we had Sunday school at a different time (a Sunday afternoon? A Wednesday evening? Anything is possible!) Would having times where parents can do some learning/discussion while kids do their own thing be helpful? What about a midweek dinner? Monthly parties? What can this church be doing to nurture your family’s faith all week long? Lindsay would love to hear from you, any time (lindsayruthpopper@gmail.com or on her cell at 423-863-8251). Because having people of all ages engaged in worship is what makes us a strong community, we’ll have more intergenerational services throughout the year. During these services, the kids will help tell the scripture story, lead the prayers, and share other gifts of theirs. It’s so important to the health of our community that people of all ages come to these services, so our young people and our adults can build relationships and learn to understand and respect each other. Where do we find peace in the midst of this heart-wrenching, chaotic, distressing, wildly unpeaceful world? How can we create—how can we embody—peace? It should go without saying that I don’t have any clear answers. I do know this: that wondering about these questions together is one of the most important things we can do as a church right now. In light of what’s happening in the world around us—in our neighborhoods and around the globe—who is God calling us to be? In this time where the government is creating special detention facilities for babies and toddlers, in this time when we’re worried about trade wars and nuclear wars, who is God calling us to be? This is what we’re diving into this summer at our riverside Faith Conversations on Thursday evenings: how to be people of peace in this place and in this time. We’re talking about the big questions, and also talking about small, daily ways of tending to our own selves and our own families and our own spirits. All of this is part of what God is calling us to do. When I was in seminary, I took a class called Trauma and Theology, and our professor invited another trauma theologian, Wendy Farley, to speak to our class. Dr. Farley studied the ways that the trauma in the world around us influences our theology, and explored how our theology must change in light of what we see and know and experience. Her sister is a pastor who also ministers to people who are incarcerated, and at the time when Dr. Farley was speaking to our class, her sister was preparing to accompany someone as he was executed by the state. “How do we stay present to something this horrible? How do we allow ourselves to witness horrors like this without it breaking us?” Dr. Farley posed the question to the class, and then she answered it for us. “It’s about calibration. The extent to which we open ourselves up to the terror in the world around us, the extent to which we open ourselves up to sadness and brokenness—we need to open ourselves also to the joy and the beauty in the world. Not because that beauty will “cancel out” the pain and the suffering—but because we can only bear the full depths of awfulness if we’re also open to the full depths of joy. The deeper we go, the more we’ll realize that beauty, and love, and goodness, and peace, are actually deeper and more lasting than the brokenness of the world. That’s why we sit by the riverside to have these talks in the summer. Because it’s beautiful. Because we need to spend an hour each week seeing turtles sunning themselves on logs and seeing baby geese paddle around in the shallows. Because sometimes a heron flies by. Because God made this world and called it good. It’s also part of why it’s so important—in the summer and year round—to do things like go to the beach, travel across the world to see our family, stay out late on the deck grilling food for people we love. We need to keep our hearts wide open to the beauty in the world, because goodness knows we’re keeping our hearts open to the horror and the pain in the world. On Sunday, May 20th, we confirmed 7 young people into the faith and family of Jesus Christ! Confirmation is the rite by which young people choose this faith as their own. After being baptized as infants or children, they have the chance to learn deeply about Christianity (and other religions!) and make a mature, informed, personal decision to commit to this faith. It was a gift and a joy to work with each of these people. The fact that they wanted to commit themselves to us—and to let us commit ourselves to them—is a beautiful thing, something to be celebrated, and a sign of the health of our church. We are nurturing faith in young people, and they in turn are teaching us and making our community richer and better. The confirmation liturgy involves the confirmands affirming the baptismal vows. We used our older set of baptismal vows—the ones closer to the vows their parents would have made over them (the baptismal views we use now were written by Pastor Cheryl and I, and are a little bit different). The confirmands made a few changes to them, too—they wanted to highlight the joy of living a Christian life, and wanted to commit to loving and caring for people of different faiths. Confirmation isn’t just a chance for these seven to commit themselves—it’s also a chance for each of us to remember what it is we believe, why it is we’re here, and what we promise to do as Christians. Will you look over these vows, and take a moment to recommit yourself to this faith of ours? Siblings in Christ, do you affirm your faith in God as known in Jesus Christ, and as God comes to us today through the power of the Holy Spirit? Do you promise to participate in the life and mission of this family of God’s people, sharing in the worship of God and joining in the work of this congregation and the wider church as it seeks to serve the community and the world in faithfulness to Christ? Do you accept the joy and challenge of living a Christian life, using your individual gifts to grow and to serve in the spirit of Jesus Christ? Do you promise to resist oppression and evil, to show love, justice and mercy, and to witness to the work and word of Jesus Christ as best you are able? Do you promise to choose mercy rather than judgment, and to respect and love those who are different from you, and to live as neighbors with people of other faith and no faith? Do you intend to continue your search for faith, for meaning, and for truth in your life? I also prayed blessings for each of them—personalized blessings that asked the Spirit to come into their lives and use their particular gifts and personalities. If you want a blessing of your very own, I would be so honored to bless you—just send me an email or give me a call or find me after church. I mean it! We are a church of people who learn and who grow in our faith. Sometimes that happens within our building‘s four walls, but more often it happens outside of them: during a prayer group in Pastor Cheryl‘s backyard, in community discussions about racism and about how to care for the Puerto Rican evacuees in Dedham, in Bible study at the coffee shop. Each of those things—and many more!—help us to grow closer to God and to our neighbors. 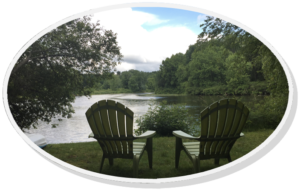 Last month, a group of us from Allin Church went to beautiful Wilbraham, MA, to learn and grow in our faith with other people from the United Church of Christ (our denomination). Twice a year, an event called ―Super Saturday‖ draws hundreds of people for a day of worship and workshops that are led by lay people, ministers, and leaders in our denomination. Judy Raymond, Joanne Dickey, Douglas Vooys, Paul Romary, Doug Crandall, Kevin Mawe, and I all went. I asked some of them to write up notes about the workshops they went to so that they can share some of their wisdom with the church. We‘ll see what they learned enriching our church as they serve on committees, do work in the community, and plan and lead worship here at church. “The first workshop I attended was „Church Revitalization by Returning to the Basics of our Faith.‟ The presented explain that we‟re designed to live in community. The church should love people, serve the community and take part in every community event. Reaching out to the community, investing in people, mentoring, talking with people is a way to grow the church. He called this growing disciples. “The second class I attended was called “Leading with Core Values”. This class focuses on the “why” – the theory is people don‟t care what you do; they care about why you do it. The suggestion is that the church would need to spend some time thinking about what their cores values are… This is a difficult assignment. Do you value “Justice” more than “Community”? This is a pretty good exercise and it might be good for our church to consider doing it.” Talk to Joanne to learn about community engagement and how we can identify our church‘s core values, as we all seek to grow! “I attended a workshop called „How to Engage Your Congregation in the Moral Challenge of Climate Change.‟ Why is this important? Because this world is God‟s creation and in the seven generations of human existence we have managed to wreck it. One of the primary ways we can address climate change is to start talking about it. 75% of the population believes in climate change but most do not want to talk about it. There are many ways churches can be engaged in discussions about climate change.” Talk to Doug to learn more about these approaches he learned! ―Together, we participated in a discussion on‟ Alternative Approaches and Sources for Funding.‟ The workshop discussed how to inspire generosity both from within your church and from the outside. All churches need a clear vision and mission statement to answer the question: Why should I support your church? One thing we can do to inspire more giving is to prepare a narrative that tells a story of who we are, what we value, and how we intend to make a difference.” Talk to Judy to learn more about how to be more creative about our stewardship! Folks also learned about being a church treasurer, how to use social media to market our church, what it looks like for us to become even more open and affirming, and more! Consider joining us when we go on October 20th in Framingham! Lent is a time for drawing closer to God. It is a time for quieting all the voices around us and within us so that we can hear the still, small voice of God speaking to us. It’s a time when we put away some habits (have you given up chocolate or meat for Lent, or perhaps given up on ceaselessly scrolling through social media?) and when we take on new habits (perhaps praying more consistently, or sitting down every night for dinner with our families, or reading a certain book). At Allin Church, we’re here to support each other in this work of drawing closer to God. The kids have taken on some new practices in Sunday school: each week, we’re walking the big canvas labyrinth. It’s a way for us to slow down, and the kids have told me it’s helping them listen to God more. As we walk the labyrinth, we’ve thought about our sins and mess-ups, and asked God to remind us of God’s love for us. We’ve also walked the labyrinth and asked God to show us how to follow Jesus better. Friends, we should all be in awe of our kids: they are wise and faithful, and they are eager to learn more about God. We’ve also taken on the practice of lighting candles as we pray at the end of Sunday school. 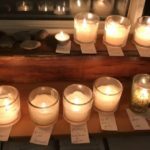 The candles are beautiful and a little bit dangerous, so it reminds us that prayer is a lovely and risky and important thing. Our kids are praying for their classmates, for their own selves, for the disadvantaged, and for God’s peace to come into this world. I’m grateful for the light we see in our young ones. If you want to follow their lead, you can light candles of your own at home—you’ll find it’s a different and lovely way to pray. We’re supporting the adults in their Lenten practices by offering a Bible-and-book study. We’re reading and praying through the Gospel of Mark, and reading through Howard Thurman’s Jesus and the Disinherited. We do this because we long to know Jesus better. We study how he spoke to the disinherited ones of his time—the outcasts and the sinners and the poor people—and we hope that this shows us how we ought to live in our world, today. Select a passage from one of the Gospels. Recall what you are doing in engaging with the Word of God and what one desires from this encounter. God is present and because God is present one relies on God. Close your eyes and reconstruct the scene in your imagination. See what is going on and watch the people in the scene. What does Jesus look like? How do the others react to him? What are the people saying to one another? What emotions fill their words? Is Jesus touching someone? As you enter into the scene, sometimes there is the desire to be there. So, you can place yourself in the scene, perhaps as an observer, as one lining up for healing, or as one helping others to Jesus. As you finish this time of prayer, you should take a moment to speak person to person with Christ saying what comes from the heart. Where do we see Jesus in our world? As we move from Epiphany into Lent (which begins on Valentine’s Day this year), we keep our eyes open to see where Jesus is in our world and in our lives. On a day when I was exhausted and preparing dinner—overwhelmed at how messy the house was and not wanting to cook or clean or do anything, really—I imagined God as an overwhelmed woman perching on a stool in my kitchen, right there in the middle of the mess with me. As I’ve watched the news about children brought here by immigrant parents, and heard vitriolic debates, I’ve seen God looking like a Latina high school student who’s working hard at all the things American high school students do to prepare for a better life. I’ve seen God looking like a Puerto Rican father in the harsh Dedham winter, and I’ve seen God looking like a soccer mom dropping off clothes and food and Charlie Cards. God takes on flesh, and lives among us, and is found especially on the margins of our society. This Lent, we’ll turn our focus to Jesus. In our worship and in our Sunday school, we’ll hear again some of the treasured stories from Jesus’ ministry. We’ll hear about his baptism and the ways he healed people; we’ll hear about how he challenged the people in power and how he ate dinner with outcasts. We’ll hear how he was so faithful to God—and so faithful in challenging the deal-dealing ways of this world—that it got him killed. As we come to see Jesus better in the world he lived in, we’ll get better at seeing where Jesus is in our world. What is Jesus calling us to? What faces is Jesus taking on today? If we are truly following Jesus, where will we go, and who will go with us? 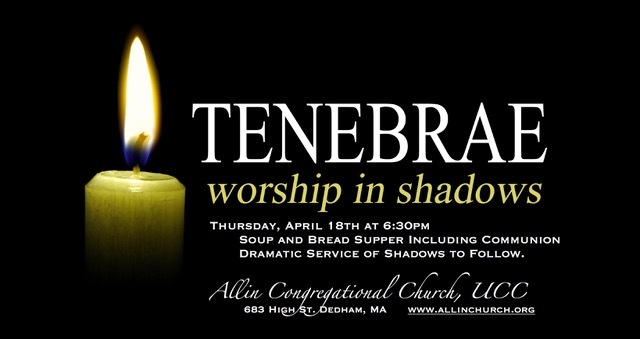 As in many years past, there will be weekly meetings throughout Lent to pray and talk together, and Bible readings and a book to read throughout the week. We’ll join with our friends at the Stratford Street United Church; Cheryl will lead a group here at the Allin Church on Tuesdays from 9:15-10:15 , and I’ll lead a group at SSUC on Thursdays from 7-8. We’ll spend time each week contemplating the gospel stories for the coming Sunday—seeing what we notice about how Jesus is acting, what he’s saying, who’s around him, and imagining where we might see ourselves in the texts. We’ll also read through Howard Thurman’s Jesus and the Disinherited. This book is a classic, and the author was a brilliant theologian and devotional thinker; he was also a mentor to the Rev. Dr. Martin Luther King, Jr. It helps us to understand the ways Jesus stood with those at the margins. Even though it was written 70 years ago, his words have so much hope to speak to us. The back cover of the book says this: “For although scorned and forced to live outside society, Jesus advocated a love of self and others that defeats fear and the hatred that decays our souls and the world around us….Thurman’s work reached past anger and distrust toward a vision of unity.”‖ Let me know if you want me to get you a copy. My prayer is that we would all see Jesus more clearly in our world, and hear more clearly how he is calling us to act. The light is slowly coming back into the world. I mean this literally: each day we’re getting a couple more minutes of daylight. As soon as Daylight Saving Time ends in October, I count the days to the winter solstice, when the days begin getting longer again. Of course, it works well with our Christian calendar (at least in the Northern Hemisphere—if we were in New Zealand it’d be the bright middle of summer right now). We are celebrating the birth of Jesus, “the light of the world.” And so, in the days after he was born into our world, the sun rises a little earlier and sets a little later, and our days get brighter, little by little. This month, on January 6, we celebrate Epiphany. It’s the day we remember the magi coming to Jesus. The magi weren’t “3 kings” (even though we love singing that song!) They also weren’t Jews—the Jews had been expecting a Messiah to come, and had been reading the Hebrew prophecies. The magi were just people who were drawn by a mysterious light. They saw a star in the sky and they followed it, not sure what they were going to find. Epiphany is when we celebrate “the revelation of Christ to the Gentiles”—the good news of God-with-us coming to all people, not just the Jewish people (“Gentiles” is the Bible’s word for “people who are not Jewish”). So on this day, and in this time of more-light-every-day, we remember the Light being revealed to all people. There is Light in the world, and we are drawn to it. This is our work, as Christians, to see the Light and be drawn towards it. Where do you see Light in your life right now? Where do you see Light in our broken and dark world? Where is the Light coming into your family or your workplace or your neighborhood? Where is the Light coming into your own tender heart? We need to search out the Light, and move towards it. And then we need to share it. How can we share God’s Light in the year ahead? We can share God’s Light by celebrating the differences among us—celebrating the noisy and lively children that are part of our church family, celebrating the people who believe differently than we do and act differently than we do. We can share God’s Light by continuing to be family to each other in this place, even (especially!) when it’s difficult, and when our rough edges meet up against someone else’s tenderness. There is so much light in this church, friends. This is a place where God meets us, and shows us that the Light is indeed coming into this broken world, and the darkness cannot overcome it. If you’re having a hard time seeing the Light in this world, keep coming to church, and keep looking for it, and ask people to help you see it, or ask people to sit with you in the darkness. This is our work this month and this year: to notice the light (like the magi did) and to move towards it. We’re on this journey together.